The Winter's Tale is a play by William Shakespeare, originally published in the First Folio of 1623. 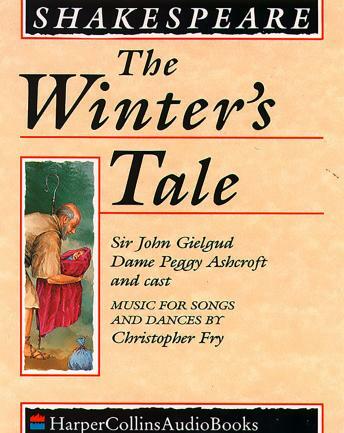 ''The Winter's Tale' is high fantasy, a tale to be told by the fire...The play belongs to the type known as 'tragicomedy', but Shakespeare has separated the tragedy from the comedy. The first part has the same kind of tragic development as 'Othello'; the second part is pure idyllic comedy. 'The Winter's Tale' is a far better play to hear and see than to read; it needs the voice of the actor to give it life.'G.B. HARRISON, editor of texts for The Shakespeare Recording Society.